How to access video recorder? So far so good with this phone, but there is nothing in the manual about how to access the video recorder. When I am in camera mode, there is nothing there that i can find that shows a video option. If someone knows how to access the video, I would appreciate any suggestions on how to get to it, since this is the reason I bought the phone!! 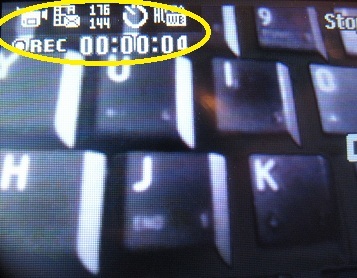 Turn on the camera (quickest way is to click the camera button on the side of the camera). Then press the key below where "menu" is written sideways. You'll see that "Camera" is checked by default. 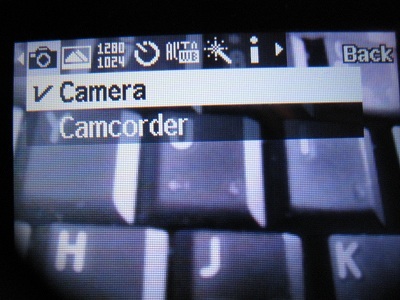 Scroll down and select "Camcorder". 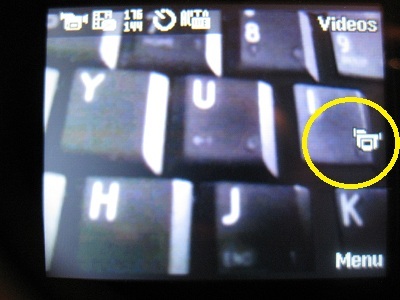 Then press the OK button or the Camera button to start recording video. Press it again to stop. The recorded video is stored in MyFolder -> Videos -> Videos. Comments for How to access video recorder? thanx for your help...i appreciate it! Hope this helps. Otherwise, perhaps you have a different version of the phone? In any case, please let me know. Thanks for your help, unfortunately, I stil cant figure it out. 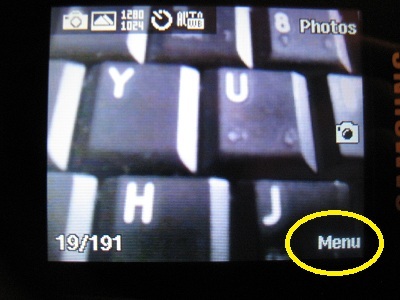 I can turn the phone on by the side, but there is nothing that says menu anywhere..at the top of my camera lens view I see a camera icon..a letter "N" the resolution, up/down arrow, a brightness indicator, a zoom indicator, which i have yet to figure out how to work..right now, there is a red "x" over it and then theres a "0"